Finding the right headset for your working environment might seem like a tricky task – especially with there being so many choices out there! We need headsets to improve the quality of communications in our offices and businesses. Onedirect is here to provide an insight into the best PC headsets from the most reliable and pre-eminent suppliers to help provide an overview of the features you need to consider before you purchase. 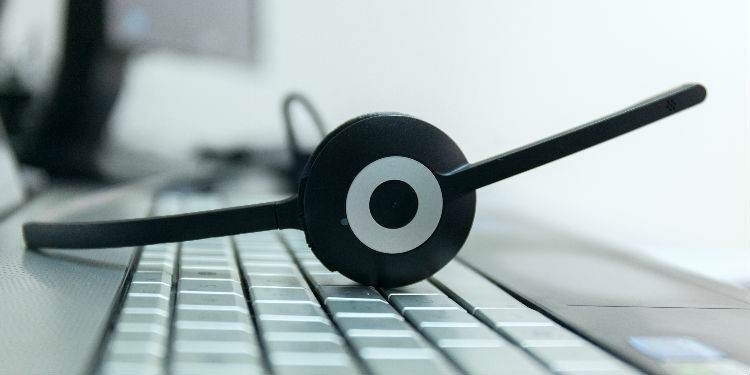 With headsets being used in virtually every office in the world it´s important to know what to look for when deciding which will be best for your business. With there being so many different brands to potentially choose from we have selected three high quality brands for your viewing. See below for the best PC headsets. The Jabra Pro 930 USB matches high quality with with excellent value. It is perfect for PC-based communications for example Skype. It comes with a range of 120m meaning that you´ll have the complete freedom to move around your office and continue to operate productively. With wideband sound quality this headset is ideal for soft phone calls, online conferences and live presentations. With the Jabra Safe Tone your hearing will be protected at all times. This is due to the technology used, in which maintains a comfortable, as well the noise cancelling microphone stops the person on the end of the line from hearing your background noise. It is certified for all primary Unified Communications platforms and again is easy to set up as it has plug and play abilities. The Jabra IntelliPower system allows you to change your power consumption automatically allowing you to save energy and reduce CO2 emissions. If you find a sleek and eye-catching design appealing then you will naturally find the Sennheiser DW Pro 1 USB a great choice for your work. It´s a great choice for people who spend much of their day using UC applications for example with Skype. It has an 8 hour talking ability and 12 hours in narrowband mode which makes it great to use throughout the day. With it´s one-ear wear design the device allows you to keep one-ear engaged in your immediate area and the other on your conversation. With a range of up to 180 metres in open spaces and then 55m in office spaces this device will deliver and provide comfort lasting all day. It truly has all the best best balance of features. The Sennheiser PC 8 with USB is a fantastic opportunity to enhance the quality of communication in your office. With great worth, it can help make internet calls easier and more efficient. With it´s easy to use Plug-and-Play feature via a USB cable you´ll find that interent calls are made much easier. Options for Skype, VoipBuster are all available immediately. Practicaliy and affordabilty are also a great point of interest for the Sennheiser PC 8 USB: With a price of under £25 it can easily be a great opoportunity to improve the quality of your office without being inaffordable. The Jabra Pro 930 MS Duo PC Cordless Headset has a user-friendly design and is a great value for money headset. It has a range of 120 metres which will allow all the freedom you need to work in your own space. Furthermore this PC optimised headset also operates with Skype Enterprise and Microsoft Lync. Any sudden changes in noise volume will be monitored by the Jabra Safe Tone, which can also monitor dangerous noise levels. This is then supported by a noise cancelling microphone which stops the person from hearing background noise. With a talk time of 8 hours with narrow band and a wide band of 6 hours your needs are guaranteed to be covered. For those concerned with the battery charge time, you will be relieved to hear that it will charge in just 3 hours. Longevity and high quality are two features which make the Plantronics Savi W420 Cordless PC Headset an interesting choice for your purchase. Top of the range sound quality is a given with this device, as is flexibility with a range of up to 120m. With it´s CAT-iq technology you will only receive the most natural sounding calls. Furthermore, the device comes with a Quick Pairing ability allowing for up to 4 people to connect their headsets to the original base unit. For those looking for a DECT operated device they will be pleased to find out that the Plantronics Savi W420 Cordless Headset comes with DECTTM 6.0. Next post VoIP phones vs Analogue phones: What´s the difference?